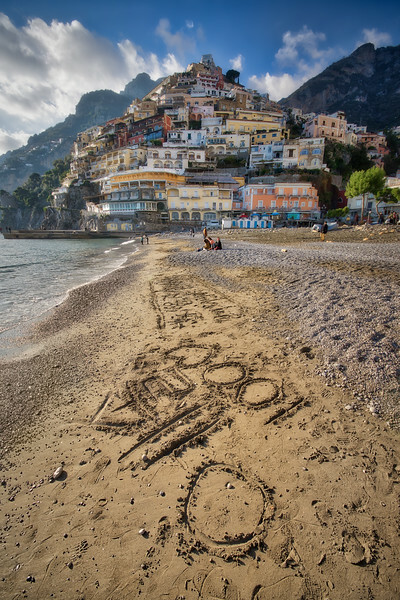 Positano is said to be one of the most pretty and picturesque places in Italy - and indeed, while the place is a dream of a town, I think each small village along the Amalfi coast has its own charm in a way. I went to Positano off-season (like I usually do) and there were​ no tourists - except maybe 40 or so Chinese tourists that roamed the streets. These were also the guys that left the writing in the sand, hehe. Do you know what it says?